What was supposed to be a UFO turned out to be the planet Venus. LOS ANGELES - Jan. 31, 2017 - PRLog -- UFO hunters gathered together to look for UFOs at Hollydale Park in South Gate, Los Angeles and found a rare sight that was picked up and videotaped with their 4 inch Cassegrain reflector telescope. During the day, Venus is the brightest celestial object next to the sun and moon. 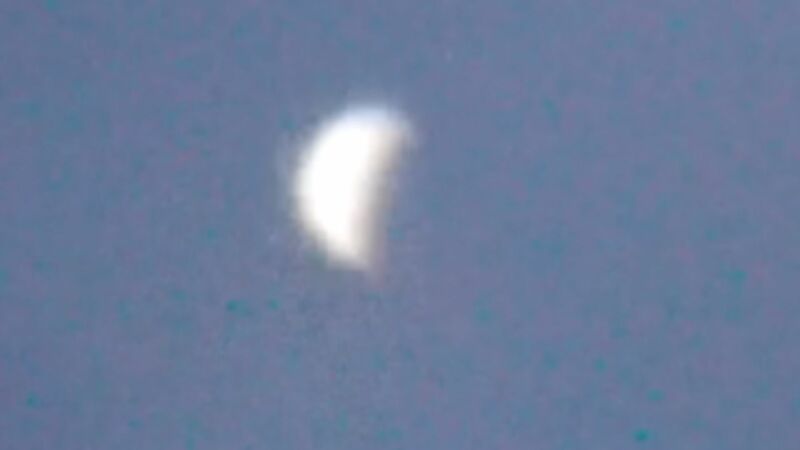 Venus takes on the shape of a half-moon crescent in daylight hours. It didn't take long for the researchers to realize that it wasn't moving and when zoomed in, didn't get much larger meaning the distance was great. When the cell phone application SKY MAP was utilized, it revealed that a cluster of planets were in the exact same area, including Mars. Venus shines by reflecting sunlight and often times mistaken for an unidentified flying object. "It's a beautiful site that astronomers love to see" says Jay Lee, one of the organizers of the UFO sighting event. "A couple of years ago, we videotaped a blue orb crossing the path of Venus during the day". Jay Lee says the researchers keep their eyes to the sky which they call sky surfing. This group of UFO hunters claims to telepathically communicate with the unidentified aerial phenomena and ask them to give them a sign that they are at their location. Surprisingly, they seem to do just that. They claim to have seen about 70 unusual objects at their event at the end of January 2017. If you're a UFO enthusiast, this might be something you would be interested in. This group can be found on Meetup.com. They are called LA UFO Channel. LIVE streaming video of UFOs? So far...3 for 3!! !